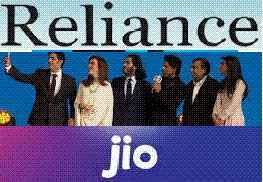 Reliance Company has launched its Jio 4G network at a very reasonable rate. Now know that ‘How to Purchase Reliance Jio Sims and Pay Bill To Recharge. Other Indian companies are worried about the new venture of Reliance. As every Indian know that what the condition of other telecom network is. Call drop issue and slow speed of network hamper the work and time both. Reliance 4G Network Jio Launched - Shahrukh Khan Was Guest. The new government came in power and advises the all company to reduce the call drop issue and pay the money to the actual owner, whose call has been dropped during the conversation. When you see in past, you realize that today issue has been minimizing but did not touched, up to the marked line. Wait and see what the next challenges face by networking company and users in the coming future. America and other countries are going very fast and they are adopting new technology in the telecom sector. They are getting the speed of 5G, 6G but we are unable to survive with the 4G speed. 4G is working like 3G; 3G is working like 2G respectively. We cannot deny the improvement in this sector from last 1 year. But the number of problems will be short out for smooth networking service to users. As news has flashed that the basic problem of speed of network due to fiber cabals. Costing of tower maintenance is also a very big hurdle to Telecom Company to reduce the price and increase network speed. Reliance Company announced Free Voice Call will be available with new Reliance Jio scheme on the website. But Telecom Company association denied providing Free Call facility. They denied giving service by the operating system of huge free calls of Reliance Jio. Association writes the letter against this to PM of India. Airtel also writes a letter to PMO and requested to incapable to provide assistance of inter-connectivity. CEO of companies given logic that call traffic will be double due to Free Voice Calling service of Reliance Jio as well as companies are not responsible to obey the decision to facilitate the request of inter-connectivity by other companies. This free voice call facility is not good for healthy competition in the Telecom sector. Reliance Jio Countered Other Company Oppose On Inter-connectivity. Reliance authority confirmed that Airtel and Vodafone inter-connectivity facility did not use during observation. The company has the record that 5 crore call has been dropped by this decision. Reliance can use this facility legally. Finally, Reliance has launched its Jio and other companies are ready to provide inter-connectivity service for Free Voice Calling. What Facility Provide Reliance Jio In New Scheme. Reliance has released the slogan “Come On India, Jio Digital Life”. It is unique and decent for users. Company welcome offer is only valid till 31 Dec 2016. So, hurry up to get the connection of Jio. Below are the facility provided by the company in the new scheme. What Users Get In Reliance Jio Digital Life. Best 4G network with lowest data charges globally and speed of network will be up to mark. They will provide LYF device in only Rs. 2999/- with Jio Apps of Rs. 15000/-. The charming facility is – activate SIM by Aadhaar card and provide Free Voice Call. They will not be having hidden charges and work on simple 4G tariff plan. The student can get the benefit of discount in this scheme. Price- Rs. 299 - Validity – 21 days- Data- 2GB. Price – Rs. 1499 Billing Cycle – Data- 20 GB. These prices are lowest and fight to other company. It is very interesting to see, how other Telecom Company beat this price list in the future. Reliance has confirmed that this will be the best quality 4G broadband network provider and ready for 5G, 6G in future. Number of Apps is providing by the company for the user to make his life easiest in all respect. These Apps are – Jio Express-News, Jio Drive, Jio 4G voice, Jio Money, Jio Security, Jio News Paper, Jio TV, Cinema, Music, and Mags. These apps are helpful to the user to transfer money, see TV, see free movie etc by one Jio connection. This scheme is working on all 4G Smartphone. The user can enjoy HD Video, calls, Sms etc by the 4G network. How to recharge and pay the bill – Go to Recharge & Pay Bills. Today it is very difficult to activate the connection due to heavy demand. It is very charming and appreciable approach in Telecom sector to improve technology and try to provide better network connectivity to users. It came in knowledge by the newspaper that Reliance will be not booked any profit next five years by this scheme. The next question rise, how the company will provide the facility in this cost. On inter-connectivity, Statement receives by other Telecom company that they get 0.30 to 0.40 paisa on average voice call facility. Now they receive Reliance Jio Free Voice Call facility, income will be down till 0.22 to 0.25 paisa. How they will provide quality service and hold the huge free calls of Jio. So, the discussion is the end to know ‘How to Purchase Reliance Jio Sims and Pay Bill to Recharge’. It will be very interesting to see the future of Reliance Jio. What they serve to the user and how much they attract and add more new users to the list. Other companies are aware of the challenges produce by Reliance Jio and they started to search remedies option. This competition will be fruitful for us to choose the best plan of the market in lowest payment. Customer happiness is important today. Let’s see what happen.